Comments: Wirth Lake is conveniently located near many neighborhoods, making fishing a readily available pastime for surrounding youth. 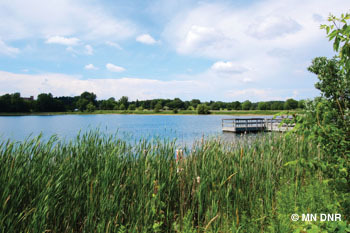 The pier on the east side of the lake provides opportunities to catch many of the game fish present in Wirth Lake. Although shoreline fishing access is not available around the entire lake, there are great spots along the shore just north of the pier.